These are things that are important to me even though I know they probably shouldn't be too important to me. I can't help it. A girl wants what a girl wants. Today I want to talk to you about eyelashes because eyelashes are something that I am passionate about in a way that I am very proud of and also slightly ashamed of. I don't think there is anything in the world that can make a girl look better than long, beautiful eyelashes. I've always been obsessed with long lashes and for my wedding I finally caved and got eyelash extensions. 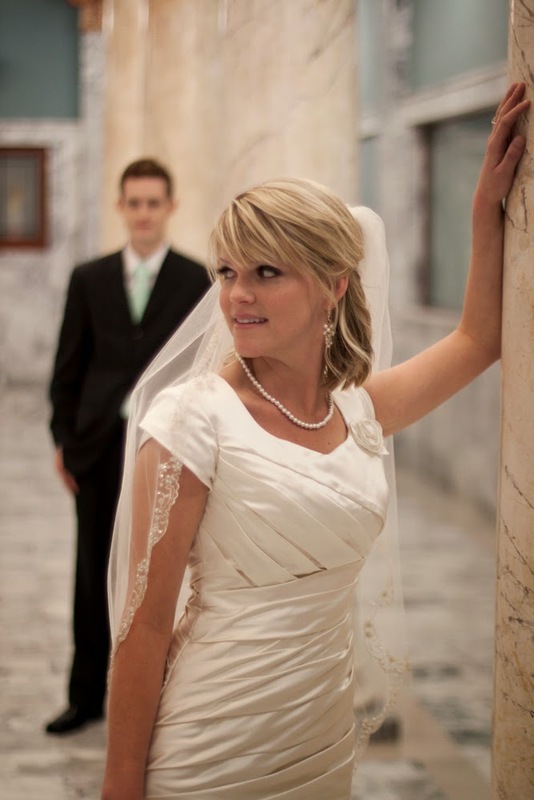 I justified it saying I really needed the long eyelashes to feel beautiful on my wedding day and my honeymoon. And guess what? I did! I felt very beautiful! Please ignore Greg's weird Edward Cullen pose and just focus on the eyelashes. FOCUS ON EYELASHES. LOOK AWAY FROM THE VAMPIRE. I even had eyelash extensions when I had June. Feeling like a million bucks when the doctors sliced open my stomach was really important to me. I don't know why! But it was! TRUTH #1: Extensions can be a hassle to maintain- you have to go every 3-4 weeks to fill them. It takes anywhere from 1-2 hours to get them filled depending on how fast your lash gal or guy is. When you have kids and jobs and a busy life it can get real hard real quick to always maintain those bad boys. TRUTH #3: Eyelash extensions can do a number on your real eyelashes. The glue is damaging to those real baby lashes trying to grow underneath. Which means you are doomed to either wear fake lashes forever or have some truly terrible lashes for a few months while you transition out of the extensions. TRUTH #4: Extensions can be pricey. Usually you're looking in the $75-120 range the first time and around $40-50 for a fill. And that's a very modest price. I afforded mine because I taught piano to my eyelash girl's daughter in exchange for her eyelash services. After having eyelash extensions for over three years, I finally quit in October. What actually did me in was not the price or the time, it was fall allergy season. I rubbed my eyes so much that the extensions only lasted a week or so and I had to give my lashes a break. I experienced a very vain and ridiculous sorrow when I could no longer fill my lashes, but knew I had to do it. Thankfully, my real eyelashes are still very healthy. This is because the whole time I had extensions I used a product called Strong Lash. I also used this once I was done with the fake lash thing and I still use Strong Lash today. (One bottle lasts me several months.) Basically it's a safe and effective way to grow your eyelashes- with or without eyelash extensions. I am a huge fan because it has allowed me to have the long luscious look of fake eyelashes even when I don't have the extensions. I love that I can have extensions or not have extensions and my real eyelashes are still in tip top shape. I recommend this product to pretty much everyone. There isn't a woman I know who doesn't want thick, beautiful lashes. This helps you get there without the hassle and price of extensions. Or if you just can't quit the extensions, this protects your real lashes. 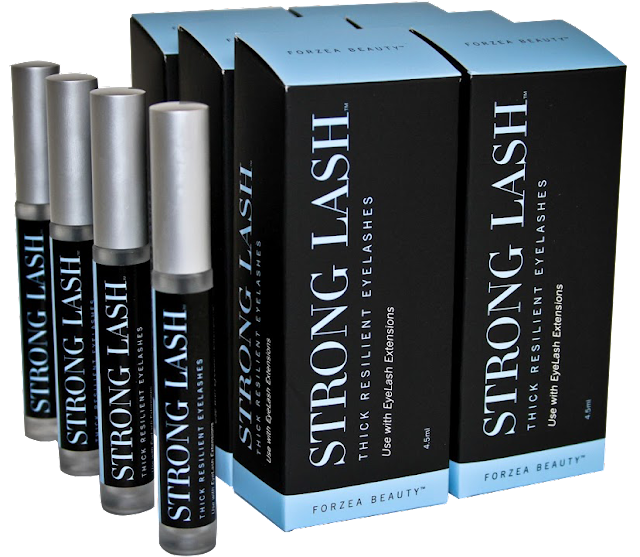 Your eyelashes are strong and resilient with this product. Whether you love extensions like I do, or you want to go for a more natural look, or you just want your eyelashes to be a little longer, Strong Lash should be a staple in everyone's makeup bag. No joke! A bottle of Strong Lash is usually $75. Today they are on sale for $67 a bottle. BUT WAIT. The best part is I have a code for you for 40% off, bring the price down to $38 a bottle. Compare that to $120 for Latisse and you have yourself a smoking deal. I really really hope you all try and love this product as much as I do. Buy here. Use code bonbon40. May your Monday be full of long, beautiful eyelashes. This post has been sponsored by StrongLash. All opinions are my own.